On Monday, March 30, 2015, the Middle East and North Africa Program at the Asan Institute for Policy Studies hosted a roundtable discussion with Dr. Alon Levkowitz, Asia Program Coordinator at Bar-Ilan University and Research Fellow at the Begin-Sadat Center for Strategic Studies. An expert on Middle East-Asia relations, Dr. Levkowitz gave a presentation, titled “North Korea-Middle East and the New Israeli Elections,” exploring North Korea’s extensive clandestine activities in the Middle East and its implications for Israel in light of the March 17 legislative elections. Dr. Levkowitz began his presentation by outlining North Korea’s long history of involvement in the Middle East since the 1970s. In recent years, these activities have continued as evidenced by Israeli and international interdictions of North Korean short-range missiles and munitions throughout the region. North Korea also remains one of the only countries in the world to provide weapons support to non-state actors such as Hezbollah in Lebanon and Hamas in the West Bank through Iranian and Syrian intermediaries. Meanwhile, North Korea has continued to provide military support to the Syrian regime during the Syrian civil war, including the sending of military personnel, munitions, and the 2012 signing of a missile cooperation agreement. Dr. Levkowitz next highlighted North Korea’s long history of military and scientific exchanges with Iran and Syria, including the 2007 destruction of the North Korean-built, Iranian-financed, Syrian nuclear reactor in Deir ez-Zor. Similarly, Iran’s close cooperation with North Korea in the form of frequent high-level visits, missile exports, and scientific information sharing further undermine international nonproliferation efforts. Recent reports of a new nuclear reactor under construction in Qusayr in Syria thus present Israel with a critical security threat. Citing the failure of the international community to prevent North Korea’s acquisition of nuclear weapons, Dr. Levkowitz next discussed Israeli concerns regarding the Iranian nuclear program and the current negotiations. The lesson learned from the North Korean case is that the international community has limited leverage and control over another state’s nuclear capacities. In the case of Iran, it is only a nuclear threshold state until it decides otherwise. While some experts may point to the effectiveness of sanctions in curbing nuclear processes, Dr. Levokwitz pointed out that Iran was willing to bear the costs to bypass some of them. These concerns are what motivated Prime Minister Binyamin Netanyahu’s visit to Washington to speak out against US attempts to negotiate an Iran nuclear deal. The 2015 Israeli election results were also tilted in favor of the right in anticipation of these serious security issues. While US-Israeli relations may have suffered in light of these problems, Dr. Levkowitz asserted that Israel is not alone in its stringent opposition to compromise on nuclear matters—France and Saudi Arabia have also expressed their apprehensions to such nuclear talks. In concluding, Dr. Levkowitz suggested that the new Israeli government will have to balance these different international pressures with real regional security concerns. 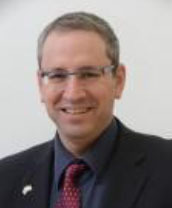 Alon Levkowitz is currently the Asia Program Coordinator at Bar-Ilan University. His PhD dissertation (2005 Hebrew University of Jerusalem) analyzed the defense policies of the United States’ allies in Asia: Japan, South Korea and the Philippines. His research includes security and international relations issues in North East Asia. He published articles on Arms control in Asia, Korea – Middle East relations, United Sates forces in Asia and others. Dr. Levkowitz teaches at Bar-Ilan and the Hebrew University of Jerusalem courses on the foreign and security policies of Asian nations, International Organizations in Asia and Korean politics and history.